Elections are Tuesday, November 6. 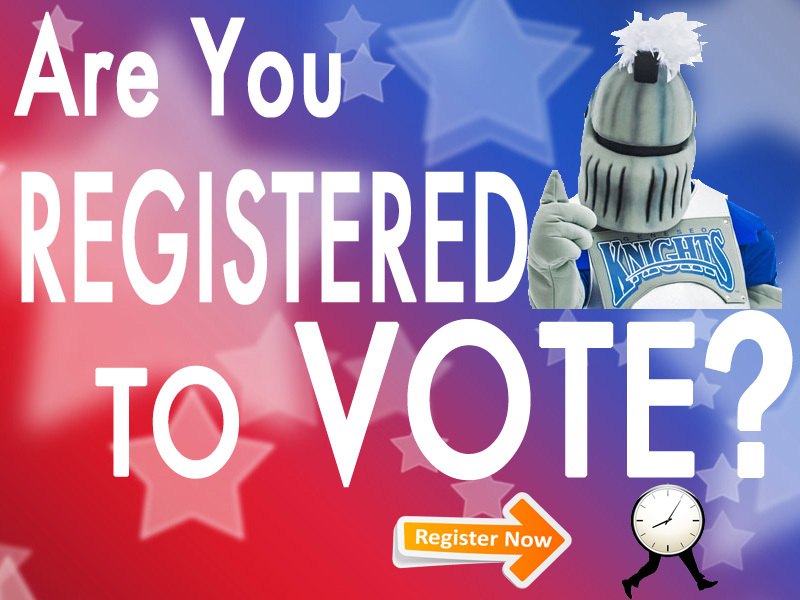 Check your voter registration status at: https://www.vote.org/am-i-registered-to-vote/ This is important, especially if you are voting absentee or have recently moved. U.S. Congressional, NY State, Gubernatorial, and many other critical offices are at stake. Do I register to vote in Geneseo, or in my hometown? The place where you vote will be determined by the most recent voter registration form filed with the board of elections. You have a right to vote either at home or in Geneseo (only one location). You will need to decide the most appropriate place. Voting in Geneseo is convenient because of our on campus polling site in the Kuhl Gymnasium, and you will not need to file an absentee ballot form. Voting at home may be your preference if you and/or your family have an interest in voting for candidates that represent your home town. October 30 Last day to postmark an application or letter of application by mail for an absentee ballot. November 5 Last day to apply IN-PERSON for absentee ballot. November 5 Last day to postmark ballot. Must be received by the local board of elections no later than Nov. 19th. Military Voter Ballots must be received no later than Nov. 19th. November 6 Last day to deliver ballot IN-PERSON to the local board of elections (by someone other than the voter). Stop by the Milne Library Research Instruction Office in Milne 105 (Lower Level) and a Librarian will be happy to assist you. Next story Upcoming Plagiarism Workshops: Fri. October 12 and Mon. October 15! Sign up NOW! Previous story Plagiarism Workshop: Tuesday, October 2, 4:30-5:20pm. Sign up NOW!